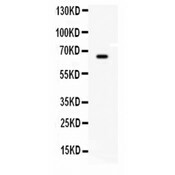 Cholinesterase antibody LS-C407739 is an unconjugated rabbit polyclonal antibody to Cholinesterase (BCHE) from human and mouse. Validated for WB. 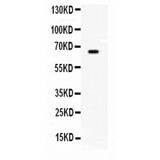 E.coli-derived mouse BCHE recombinant protein (Position: K263-E571). Mouse BCHE shares 78% amino acid (aa) sequence identity with human BCHE. Present in most cells except erythrocytes. 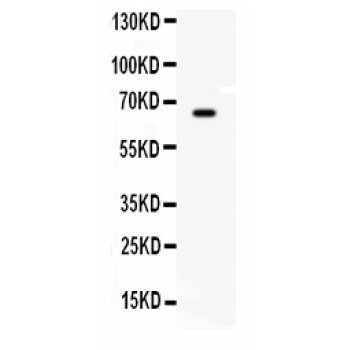 BCHE antibody Western blot. All lanes: Anti BCHE at 0.5 ug/ml. WB: HEPA Whole Cell Lysate at 40 ug. Predicted band size: 66 kD. Observed band size: 66 kD.